We know it’s cold outside, but East Franklinton wants to keep your heart, soul, and mind warm with Franklinton Fridays public art crawl! 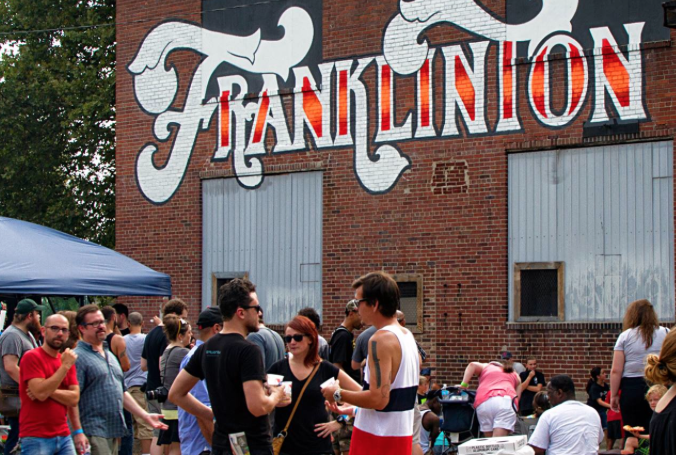 Every second Friday of the month, East Franklinton neighborhood offers Franklinton Fridays in which businesses, galleries, and various institutions are coming together to bring you the latest and greatest local art. 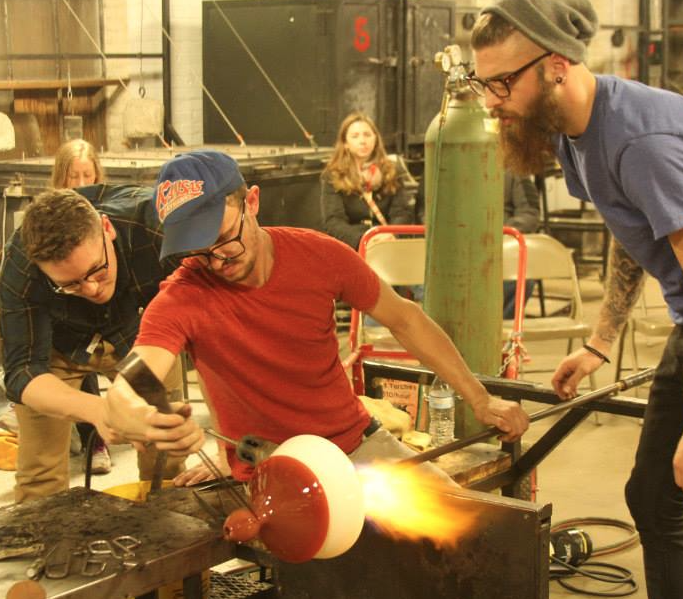 Entities like Glass Axis (at their new location) and Ethical Arts Collective, along with Franklinton Development Association, Magic Brush Art Studio, Franklinton Arts District, 400 West Rich Studios and even Rehab Tavern are offering public tours, studio spaces, and in the case of Columbus Idea Foundry, live demos! Click the link above to get a glimpse of what all these cool cats have going on! Join us this Friday evening for a taste of what your community has to offer. 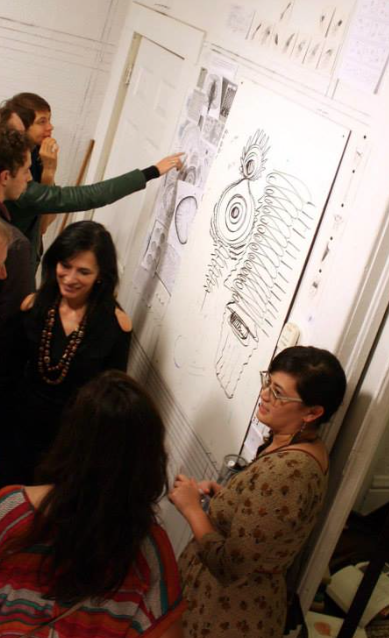 Stop by the studios, galleries, and art spaces to shake hands with the artists and awesome business owners. Don’t forget to stop by Strongwater Food and Spirits and Land-Grant Brewery for a pint of their finest! Head on over to the Franklinton Fridays Facebook Page to add to the ever-growing LIKE count and to see what is in store for this weekend! See you there! Ohio Art League seeks to promote our member-artists by providing you with the most up-to-date calls for entries and proposals. Artists are encouraged to submit their proposals to the City of Kettering’s Rosewood Gallery 2016 Solo Exhibition Season. Rosewood Gallery specializes in the exhibition of contemporary art by emerging local, regional and national artists. It is dedicated to the encouragement and creation of new works and to the promotion of the visual arts in the Dayton, Ohio area. 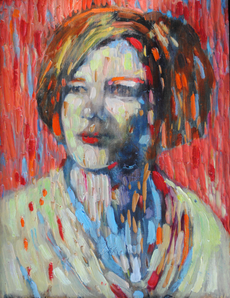 Eight solo exhibitions are presented each year in Rosewood Gallery, sponsored by the Kettering Arts Council and the City of Kettering Department of Parks, Recreation and Cultural Arts, with support from the Ohio Arts Council. 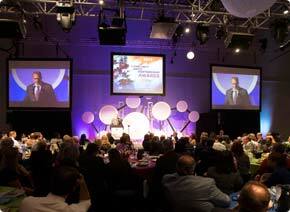 Proposals for the 2016 season must be postmarked by April 30, 2015. Check out the submission requirements and find out how to enter! A selection committee composed of regional art professionals will make recommendations from submissions of work for exhibition. Notifications of the jurors’ decision will be mailed by the end of May 2015. All media will be considered for exhibition, including video and installation pieces. Ohio Art League’s very own Esther Hall, along with Paul Palnik and Rebecca Ibel, is one of the jurors for the Columbus College of Art and Design’s Fall Art Sale, Before They’re Famous; so, you know it’s going to be epic. Before They’re Famous is to take place in the Loann Crane Center for Design at CCAD on December 6, 2014. Tickets are available at the door starting at 9 a.m. the day of the sale. Those who arrive from 9- 10 a.m. get the first choicesof these local, pre-famed artists’ goodies at $50 a ticket per person. General Admission is from 10 a.m. until 2 p.m., and tickets are just $5 a person. Who can say no to that? Support Ohio’s up-and-coming artists on their path to greatness, and don’t miss out on some of the free workshops and demonstrations available to all visitors! Parking is free on CCAD lots, and admission sales help fund student scholarships while sale proceeds directly benefit the artists! 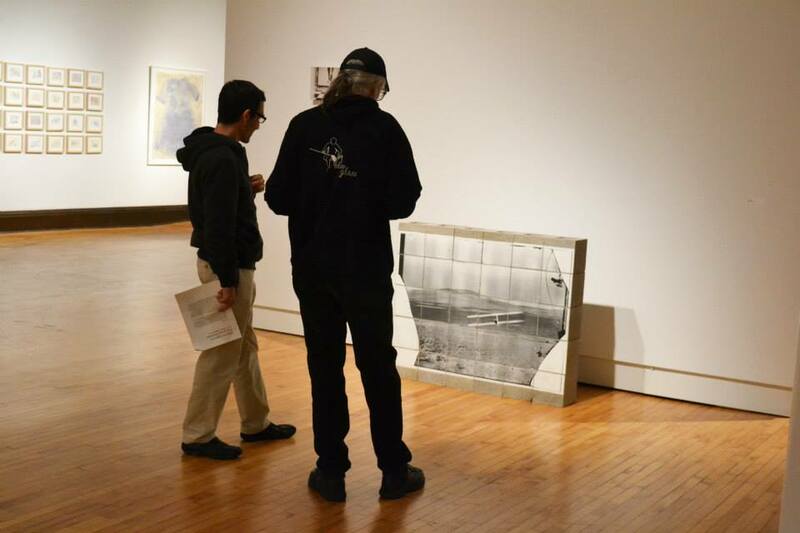 Don’t miss this semiannual juried exhibition; over 100 students, alumni, and faculty are participating! For more information, visit the CCAD event’s page, and we will see you on December 6! Big Local Arts Reappearance at Strongwater! Join us at Strongwater Food and Spirits Thursday Nov. 6, from 6- 9 pm for the one-day Big Local Arts Show! You remember the Big Local Arts Tent at the Columbus Arts Festival, so come back for an encore this Thursday in Franklinton! Big Local Arts supports local artists by giving them the opportunity to showcase their work to the thousands of people who come to the Arts Festival. 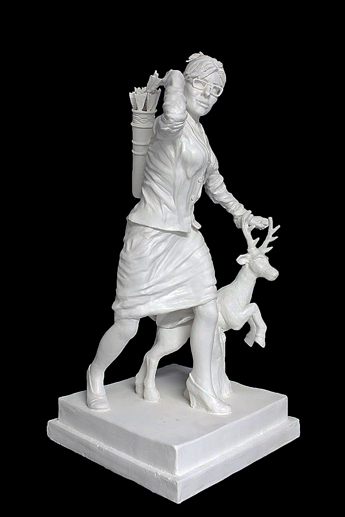 Two- and three-dimensional work will be for sale, and a raffle is to be announced. 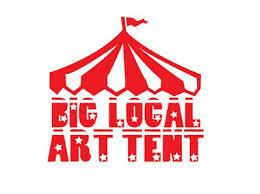 Stay up-to-date on the Big Local Facebook page for an upcoming list of artists and works! 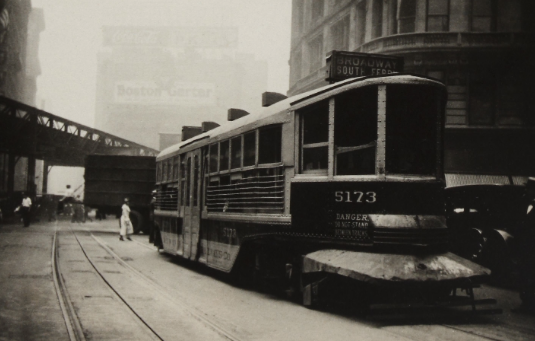 These exhibitions have been held every year since 1910. Nationally renowned artists, judges, and curators attend the event .Our most recent juror Denny Griffith who judged our Spring Juried Exhibition. 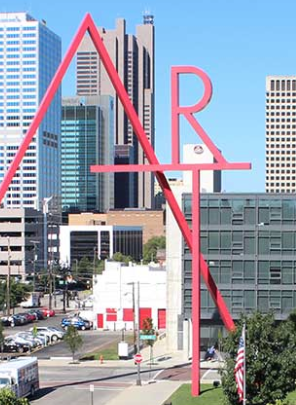 They are held at locations such as the Columbus Museum of Art, Fort Hayes Shot Tower Gallery, and the Columbus Cultural Arts Center. The Juror of Esteem this year will be, Rod Bouc, Deputy Director of Operations at the Columbus Museum of Art. McConnell Arts Center of Worthington. Rosewood Gallery was established in 1986 in the Rosewood Arts Centre. 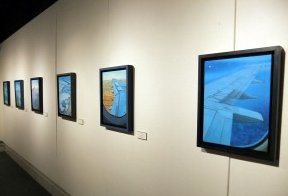 The gallery specializes in the exhibition of contemporary art by local, regional and national artists. For the 2014 Gallery Season this summer, the Rosewood Gallery presents the 20th Annual exhibition, The View. 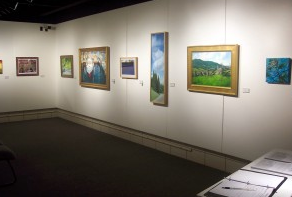 The View is a juried exhibition created as a showcase for Ohio artists presenting traditional or abstract views of landscape or land imagery, environmental themes and world issues. The exhibition is on display from June 9 through July 11 of 2014 at theRosewood Gallery of Kettering, Ohio. The Reception will be the Sunday before the opening of the show (June 8) from 2- 4 in the afternoon, with awards presented at 3 pm. Make sure you stop by the Rosewood Gallery during the exhibition to see some works created by some Ohio Art League member-artists like Kelly Joslin, Richard Jurus, Lynda McClanahan, and Jessica Wojtasek. For directions or more information about the exhibit, click here to visit the Rosewood Gallery website. Front Row Center’s March 2014 edition by GCAC (Greater Columbus Arts Council) features an interview and article about one of OAL’s very own, Sarah Hahn. 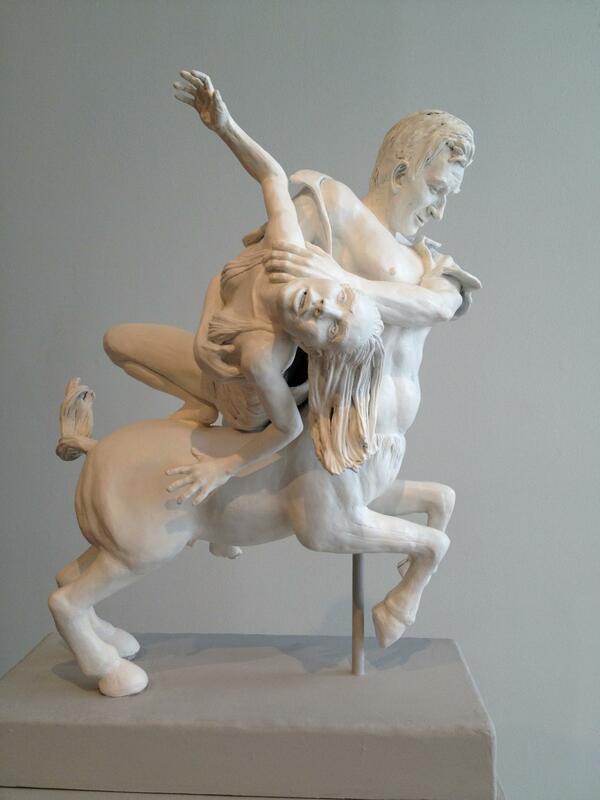 A local artist of Columbus, Sarah Hahn focuses on classic works of Ancient Greece, but with a twist. She creates amazing real life sculptures of some of today’s most well known pop culture figures in the Classical style. Sarah works in the mediums of ceramic and performance pieces. Check out the full interview and article!